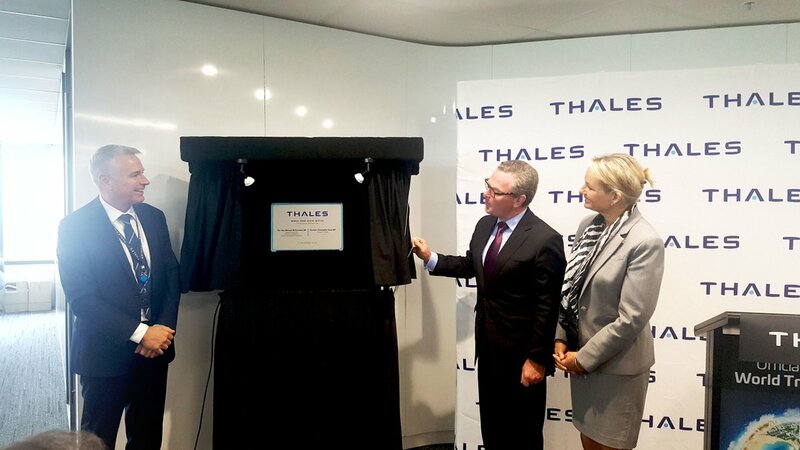 Defence Minister Christopher Pyne officially opened Thales Australia’s brand new World Trade Centre offices in Melbourne. The offices, which have undergone a $12 million redevelopment, will be home to the OneSKY project team developing the common Civil Military Air Traffic Management System for the Department of Defence and Airservices Australia. Minister Pyne said the new offices will pave the way for further progress in the OneSKY project which aims to develop the most advanced and integrated air traffic control system in the world. “This office will support up to 550 specialist high-tech jobs in Melbourne across the Land and Air Traffic Management businesses, building Australian skills in complex project management, systems engineering and software development,” Mr Pyne added. Deputy Prime Minister and Minister for Infrastructure, Transport and Regional Development, Michael McCormack said the system will manage forecasted growth of air traffic movement in Australia, by as much as 60% by 2030, minimising delays for the travelling public. “Under OneSKY, Australia will be better able to handle forecast air traffic growth which will reduce congestion and open up more efficient air routes to reduce flight times and fuel costs,” Mr McCormack concluded.